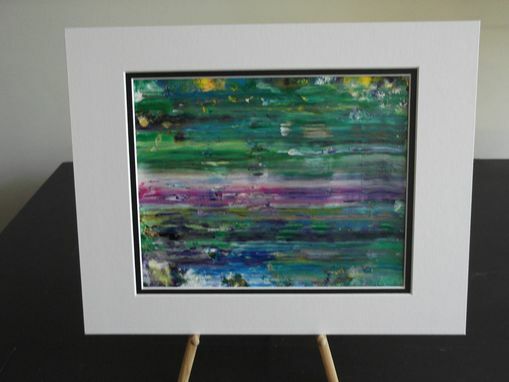 This 8x10-inch piece is made using acrylic paint in colors of violet, blue, green, and white. Set on Acrylic Grade Cold Press paper, it comes with an 11x14-inch white double mat for framing. 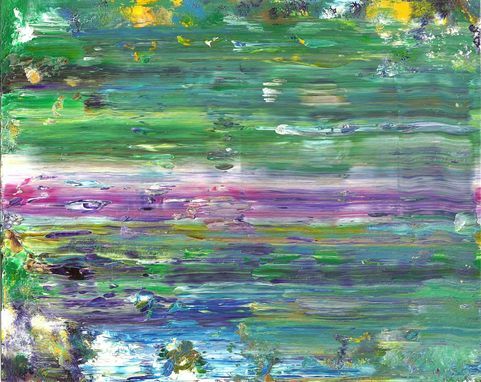 The varnish coating adds depth to the hazy blur of colors and protects the surface of this unframed painting. This is an original of mine, and would undoubtedly make a fine art gift.